Replace your weak stock skid pans with these ¼ and 3/16 inch thick skid plates. 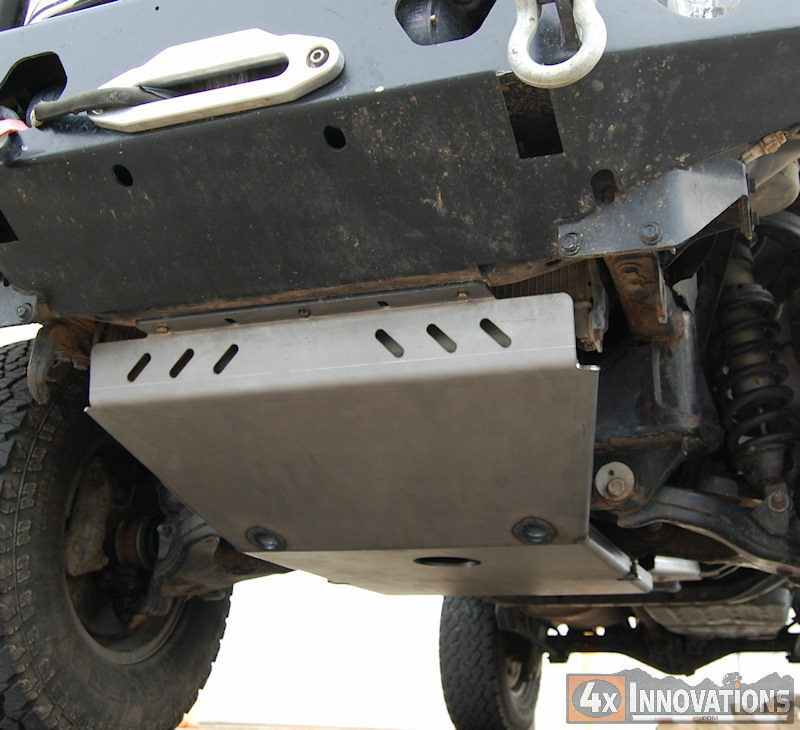 These skid plates have been engineered to take all of the abuse off roading will throw at it and protect your engine, front differential, and transmission from those pesky rocks and logs. 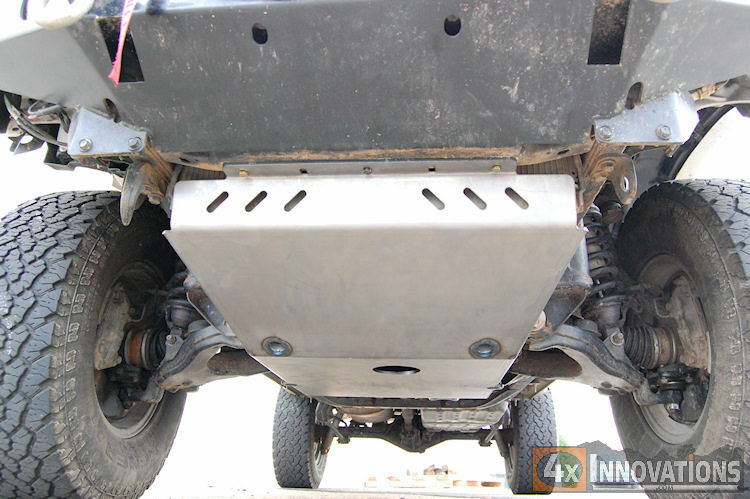 These skid plates start at the front cross member and cover all the way to the transmission cross member for maximum coverage. 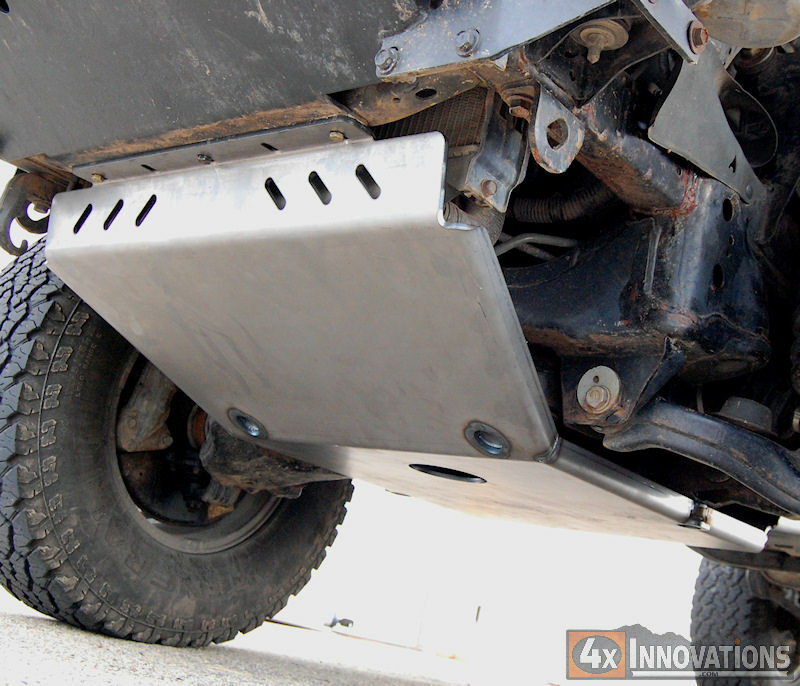 There are 11 mounting points to hold the skid plate securely in place. Additionally there is an access hole for the engine oil drain plug so there is no need to remove your skid plate to change your oil. 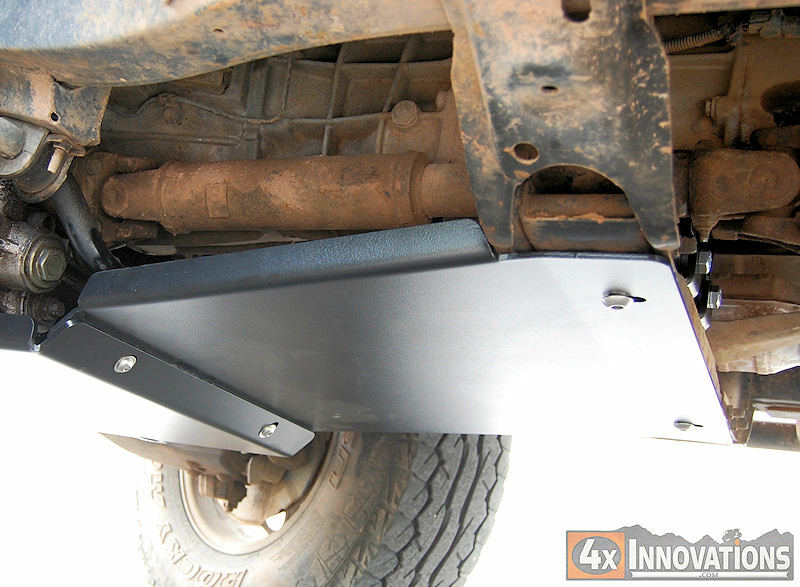 These plates are laser cut and CNC bent from high quality American steel and ready to protect your truck from the trail ahead. Ships bare steel, ready to paint with the coating and color of your choice.